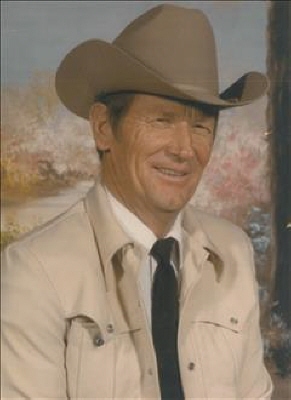 Billy Franklin Britton, 83, resident of Mangum, Oklahoma passed away January 18, 2019 in Quanah, Texas. Billy was born in Jester, Oklahoma to Everett F. and Lillie Fraze Britton. Billy was raised and educated in the Reed area. He grew up on the family farm with his four siblings, He graduated high school from Reed High School in 1956. He married Ethelene Weaver August 25, 1956 in Reed, Oklahoma of this marriage came two children, Diana and Dottie. He moved to Texas, in 1961, where he went to work for Plains Dairy. He joined the National Guard in 1962 and proudly served for four years. His law enforcement career began in 1970 in Hemphill County, Texas and he was there until 1974. Billy and his friend Bob Tipps built the cable system for Miami, Texas in 1975. Billy went on to become a Deputy for Roberts County, Texas where he was also a volunteer fireman for the county. He was elected sheriff of Roberts County for three consecutive terms. Following his retirement he started working as a deputy sheriff for Wheeler County. During his time at Wheeler County he was named the oldest working deputy sheriff in the state of Texas. He was an active member of the Sheriff Association of Texas, a coached a little league baseball team "Red Socks", he loved baseball, fishing, he was "consummate" cowboy in everything he did. On of his favorite sayings was "I can ride anything with four legs and drive anything with two wheels. " He taught his children how to ride horses. Billy is survived by daughters, Diana and Ricky Brown of Childress, Texas and Dottie Britton of Quanah, Texas. stepchildren Joey and Debra Shoemake of Miami, Texas, Amanda Upton of Pampa, Texas, his grandchildren, Sean and Courtney Crouch, of Clarmore, Oklahoma, Trevan and Maraina Crouch of Childress, Texas, Brandon and Alyissa Brown of Greensburg, Kansas, Sarah Booth of Memphis, Texas, Erica and Brandon Moody, Headley, Texas, Antonio Marino of Pampa, Texas, Erica Marino Pampa,Texas Keegan Upton of Pampa, Texas, Tre Shoemake, Miami, Texas Gavin Shoemake of Miami, Texas, great- grandchildren Wyatt, Emma, Eleanor, Christina, Zachary, Jason, Iva, Keiden, Kamden, and Khloe. Aunt, Mary Katherine Vaughan of Brownfield, Texas. Numerous nieces, nephews and cousins. He was preceded in death by his parents, his four brothers, Leon, H.E. (Gene), Othel, and Jerry Don, great nephew Chad Britton. The Britton family will received friends 9:00 am - 11:00am Tuesday, at Greer Funeral Home, Mangum Oklahoma. Services will be 2:00 p.m. Tuesday at Greer Funeral Home in Mangum, Oklahoma, interment will follow at White Flat Cemetery. To send flowers or a remembrance gift to the family of Billy Franklin Britton, please visit our Tribute Store. "Email Address" would like to share the life celebration of Billy Franklin Britton. Click on the "link" to go to share a favorite memory or leave a condolence message for the family.